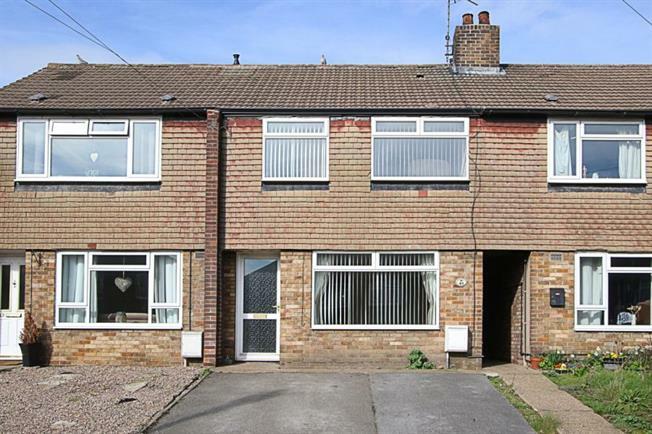 3 Bedroom Terraced House For Sale in Sheffield for Guide Price £130,000. Early viewing is strongly recommended in order to avoid disappointment of this generous and flexible accommodation, offered by this superb three bedroom mid terraced property which offers huge scope and potential to create a lovely family home. Priced to reflect requiring a degree of modernisation, in turn providing any potential buyers to add their own tastes and requirements (subject to any necessary consents). Situated in the ever popular, sought after semi rural location of Marsh Lane in Eckington and available to market having NO CHAIN INVOLVED. The property benefits from two reception rooms, three bedrooms, family bathroom and has a generous drive to the front and a good sized rear garden. The ideal purchase for the first time buyer, family or investor alike. In brief the accommodation comprises: to the ground floor the entrance hall gives access to the front facing living room with feature fire surround and electric fire, a door leads to the rear facing dining room and then into the kitchen with rear facing window and entrance door accessing the rear garden. To the first floor landing are three bedrooms, two of which are double, with single bedroom three and the family bathroom. The property has a generous driveway providing ample off street parking. And a passageway leads to the rear, where there is a garden being stocked and mainly laid to lawn, with two brick built store rooms. Location: Marsh Lane is a hugely popular semi rural village just outside of Eckington which is steeped in local history, conservation areas and offers a host of superb local amenities, schools and a local supermarket. The area boasts a public swimming baths and superb local restaurants and gastro style eateries in the surrounding areas. Ideally situated for links to the M1 motorway networks, Sheffield city centre and nearby Crystal Peaks shopping centre. Renishaw Hall and local surrounding countryside and walks on the Pennine trail provide plenty of choice. The area is popular with buyers of all ages and has excellent bus and transport links.